Luxury woollen dog harnesses from Hailey & Oscar Designer Pet Wear. Outer surface made using quality wool, with fleece lining for extra comfort. Side release buckle make it easy to put on and to remove the Harness. Available in four colours: Brown, Grey, Khaki Green and Maroon, and three extendable sizes to fit most breeds. Matching leads available. 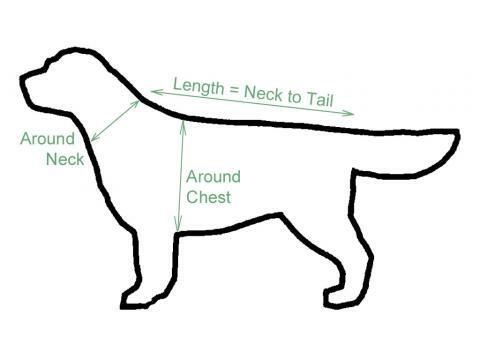 Collar size is the length measure around your dog's neck, and leave a little room which is necessary for your dog to feel comfortable. The key is not to be too restrictive.